ROCHESTER, N.Y., August 11, 2010 - Semrock has appointed Brian O’Flaherty, PhD in the capacity of Sales Engineer for the Northeast region effective August 1. 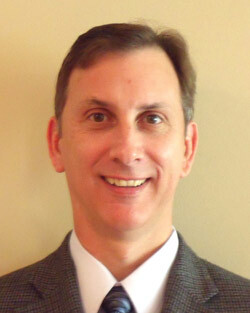 Previously, Brian held the position of Director of Sales at Groton Biosystems. Brian has also tenured Product Management and Applications Engineering positions with Corning, Inc., and McPherson, Inc., respectively. Brian holds a PhD in Analytical Chemistry from University of Massachusetts, Lowell, and has several technical publications. “We are pleased to have Brian on our sales team. His experience within the Life Sciences marketplace will be an asset to our team,” said Moez Adatia, Vice President of Sales.